There have been rumours for several months that the Bolshoi Ballet was to return to the Queensland Performing Arts Centre (QPAC) in 2019, with the Bolshoi itself revealing in a newsletter at the end of last year that it was returning to Australia. The news was confirmed today with the announcement that the renowned Moscow-based company will perform two ballets in Brisbane between June 26 and July 7: Yuri Grigorovich’s Spartacus and George Balanchine’s triple bill Jewels. Audiences will be able to see both productions on the first weekend of the season. The exclusive Australian season is part of QPAC’s International Series, which has brought a number of the world’s leading ballet companies to Brisbane, among them Paris Opera Ballet in 2009, American Ballet Theatre in 2014, The Royal Ballet in 2017, and the Bolshoi itself in 2013. Last year, saw the Australian debut of Teatro alla Scala Ballet Company, which attracted an audience of over 20,000 to 13 performances. “Spartacus is the heroic ballet of Grigorovich with exciting characters, powerful passions, and dynamic action. Jewels is the neoclassic of Balanchine and will permit us to present rather extensively the young generation of the Bolshoi Ballet dancers to the Australian audience,” said Vaziev. Spartacus tells the story of the Thracian gladiator who leads a slave’s rebellion against the Roman Empire. Grigorovich created his production in 1968; it received four star reviews when the Boshoi presented it in London in 2010. The Australian Ballet presented a well-received, brand new production of Spartacus, choreographed by Lucas Jervis, last year. Balanchine’s Jewels is a triple bill, created for the New York City Ballet in 1967. 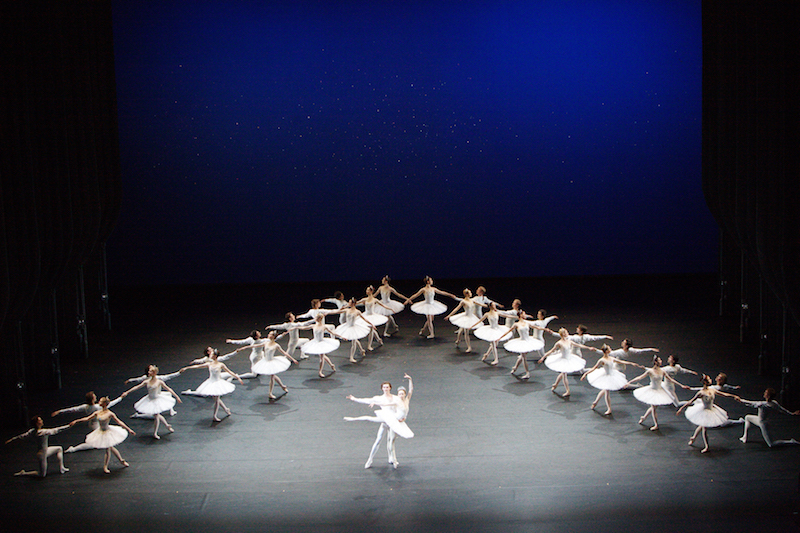 The Paris Opera Ballet performed it in Sydney in 2007. Featuring jewel-like costumes, each act is inspired by a different gem and ballet style. Act I, Emeralds, references French Romantic ballet and is choreographed to music by Fauré, the popular Rubies in Act 2 is a neo-classical jazz-age work with music by Stravinsky, while Act 3, Diamonds, uses an Imperial Russian style with music by Tchaikovsky. The Queensland Symphony Orchestra will accompany the Bolshoi Ballet. Queensland Acting Minister for the Arts Craig Crawford said that a program of related community activities will take place around the Bolshoi’s Brisbane season.